As we’ve said many times in past postings, old SHO engines never die – they go on to a second life after a transplant into something else. That something else ranges from 240Z, MBG, Austin-Healey, TR-7, sand buggy, Camaro, and a Lotus Esprit. And of course other Ford products, including a rear-wheel drive Focus and even back into a Taurus SHO converted to rear-wheel drive. Sometimes the swap is a POS hack job destined to be blown up, but more often it’s been done professionally where the person doing the swap can be proud of their work. That’s what we like to see, and that’s what this great engine deserves. 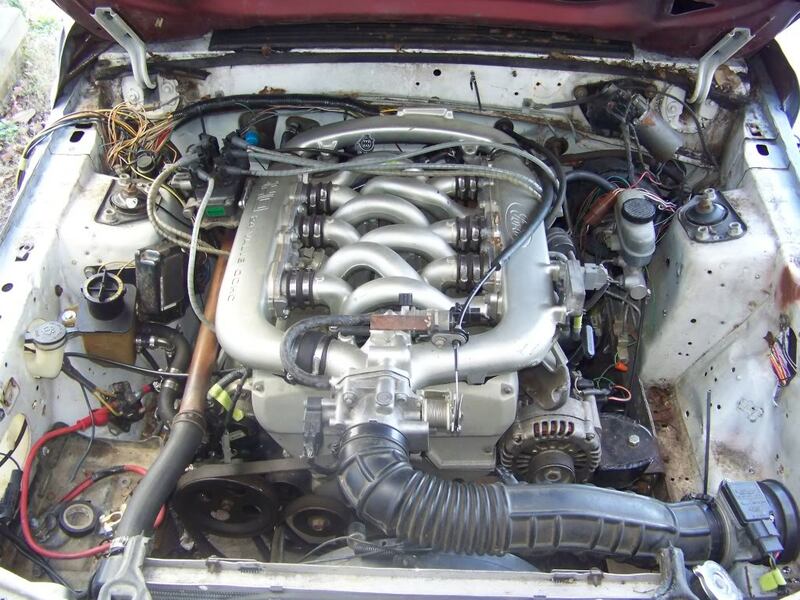 Here’s an example where a SHO engine has been swapped into a Fox-body ’93 Mustang convertible, a very natural home for the SHO engine. Unfortunately we haven’t found the build-up story of this swap, only the 11 pages of pictures here (with video of it running). We’d like to know more about this 3.2 liter SHO and Aerostar automatic transmission swap. We did learn from what little has been written that the forward engine mounts on the SHO engine interfere with the stock swap bar mounts in the Mustang. One more bit of news to save in case you or we ever do this swap ourselves. Read more of our engine swap stories here.